We are very happy to bring you Felix, Sunni and an electric hi-lo base for IndiGO, Strato and Brookfield. So what are these new products? Felix – a mild wooden school chair that is stackable, covers can be removed easily and wiped clean, plus it has an anti-tilt design. Sunni – a school canteen chair that offers support whilst the child eats, allowing them to join their friends and socialise during school break times. 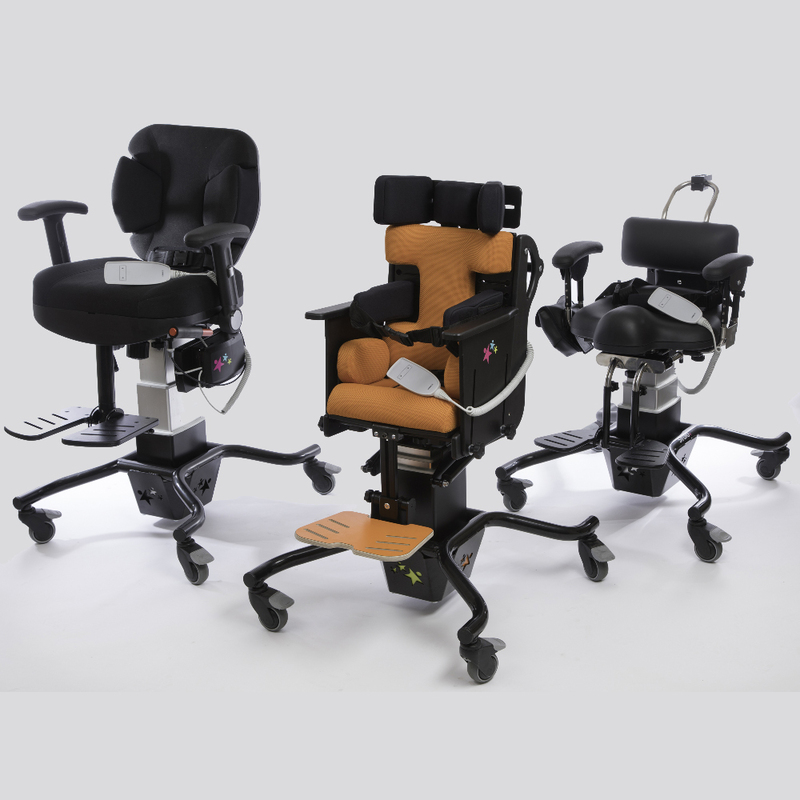 Electric hi-lo base – allows for tool and stress free height adjustments, increased user weights and is available on three of our most popular chairs; Brookfield, IndiGO and Strato. Please contact us for a free assessment or for more information on any of these products. Smirthwaite have always sorted out any issues very promptly and the staff have always been very polite and friendly. Thank you so much for all of the help you have given us and the children we support over the last 12 years.